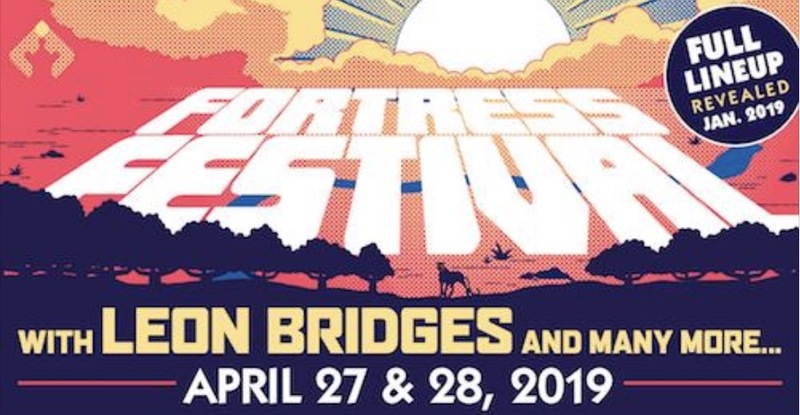 Leon Bridges will headline the 2019 Fortress Festival in his first major hometown concert performance since signing with a major record label. He leads a first phase of artist announcements that also includes Tank and the Bangas, Bobby Sessions and more. Earlybird tickets are now on sale. This recognition follows two straight years of world-class lineups that have included the likes of Run the Jewels, Chromeo, Courtney Barnett, Father John Misty, Wolf Parade, Nathaniel Rateliff and the Night Sweats, Tune-Yards, RZA, De La Soul, Slowdive, Flying Lotus, Peter Hook and the Light, Rapsody, Shabazz Palaces, The Voidz, and many more. The third edition of the festival will take place April 27 & 28, 2019. Presented in partnership with the Modern Art Museum of Fort Worth, the festival provides attendees not only with world-class music but also with access to world-class art within Fort Worth's iconic Cultural District.